The Butterfly medium floral 2 light flush Tiffany ceiling lamp has a beautiful blend of subtle cream colours, natural shades and a floral design based on greens, aubergine, shades of orange and red on a neutral base. A striking butterfly design with a translucent blue glass body and glistening golden amber wings and tail. The Butterfly large flush light has a large diameter of 39cm and is attached to the flush mount by a dark bronze lower finial. 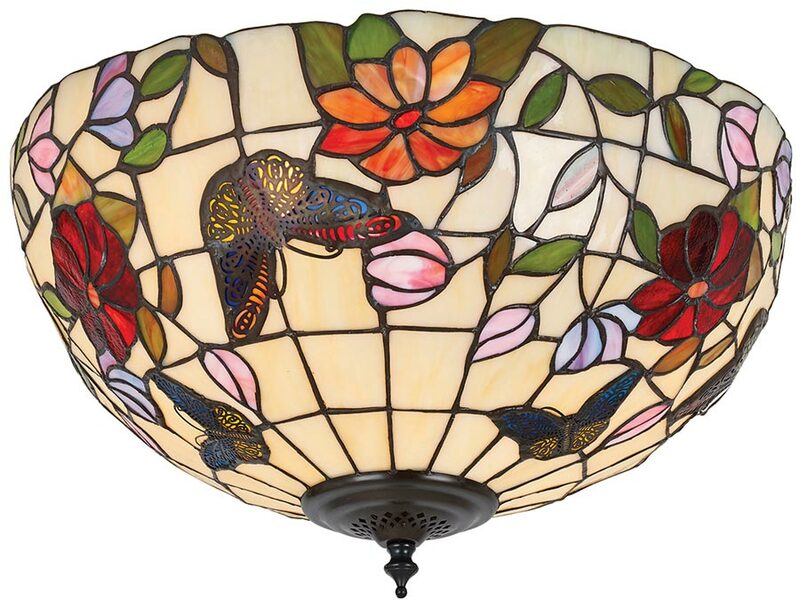 It is completely handmade using the highest quality American art glass.